Home Culture Support a Girl Scout; don’t buy cookies. They’re all pretty great, am I right? Girl Scouts: this month marks the 104th anniversary Juliette Gordon Low of Savannah, Georgia’s great idea. And it’s also the 99th anniversary of Girl Scouts selling cookies! 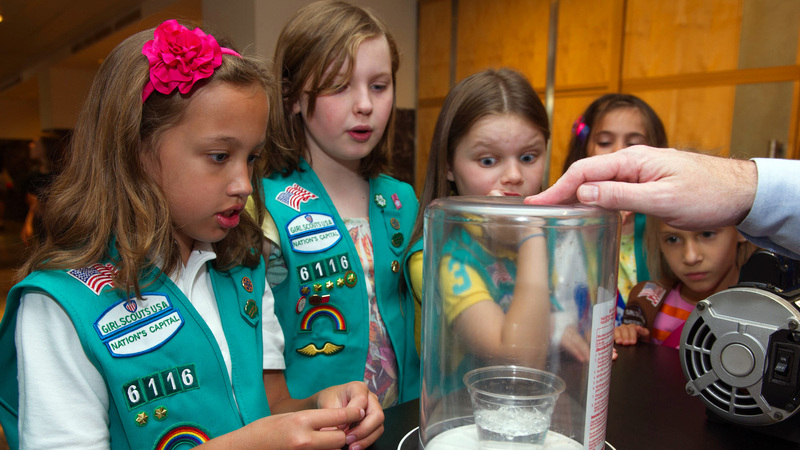 If you visit the home page of Girl Scouts.org today, you’ll see that their mission to try new things, make new friends, and go on more adventures, is given equal prominence with buying lots of cookies. And why not? Girl Scout Cookies are an incredible nexus of funding and branding: not only do the tasty cookies help the organization, but they raise our awareness tons. If you don’t have daughters, you probably know about Girl Scouts because of the cookies. A couple of years ago my cousin Andrea’s daughter Mia asked me to buy some Girl Scout cookies. I’d bought cookies when my friend Jennifer’s daughter Amanda was in the Girl Scouts. And again when Jennifer’s younger daughter Lauren was. Back then I never even thought about it, I just said, sure, I’ll take a couple of boxes. This time we were hanging out at a party at cousin Cindy & David’s, and Andrea was standing 2 feet away from me when Mia asked. And maybe I was in a less calories & sugar mood or something, so I asked Andrea if it was possible to pay for cookies, but not actually get any cookies. Andrea informed me that there was there a column on the Girl Scouts cookie sales sheet for exactly that order. And better yet, when you buy a $5 box of cookies, $4 go to Girl Scouts national, and only $1 goes to the local troop. Only 20 cents of your cookie dollar goes to support the scouting of that niece, or scout next door, or daughter of a friend at work or church. But if you don’t want cookies, then your whole $5 goes to help that future leader and innovator that you were theoretically trying to help in the first place. That day I ordered 4 boxes of no cookies. Maybe the local troops could even print up little thank you for supporting Girl Scouts with your order of uncookies slips of paper, or stickers, or buttons, kind of like the I Voted sticker you get when you participate in democratic governance. For $20 you could get a lot of calories, a mountain of sugar, and donate $4 toward the future of a young person you care about, or for $20 you could make a zero calorie, sugar-free, $20 donation. But I love those Girl Scout Cookies! I thought about trying to order 1 box of Vegetable Medley, but maybe vegetables don’t have enough preservatives for national distribution. Maybe a young Girl Scout innovator can work on that!